Remember the name: Marisol "Sol" Maya John. Because throughout 2019 and beyond you will hear and see and gaze in wonder at her gifts so rich and wonderful. But here are the facts first. Marisol Maya John , a 20-year old Convent High School (CHS) teacher, the daughter of dentist Dr. Idaline John and Victor John, was crowned Miss Dominica 2019 from a field of five contestants at the Windsor Park Stadium forecourt on March 1, 2019. The choice of Sol's platform: "Regional integration…the voices of youth today, for integration tomorrow" is a no-brainer: her father is Grenadian, her mother is Dominican and her brother is Cuban. She said she grew up in Caribbean cultures and took frequent trips to other Caribbean islands allowing her to see how similar "yet so different each nation is to the other." And, on her way to the throne, she weaved that Caribbean theme into all rounds of the competition. In the talent round "The Regionalist" Marisol presented her experiences as she travelled the region and the difficulties she encountered. For example she recalled an immigration officer asking: "Are you from the Dominican Republic"? It was then, she said, that she put on her "Dominican accent and said 'I am from Dominica." On her way to the coveted title, John captured six major awards: Best Spectacular Creation; Best in Spectacular Creation; Best Performing Talent; Best Evening Wear; Best in Evening Wear and Best Response to Questions. In the Spectacular Wear segment, Marisol displayed the "Jewels of the Caribbean" described in the script as "a beautifully crafted mélange of various cultures and diverse races" designed and built by St. Lucian Sharon Tanner with assistance from Ay Andrew and Judy Roselmond Marie. For the swimwear segment, she wore a "blazing 3-piece yellow swimwear with rays of sunshine glisten through the Y shaped crystal studded top leading down to shimmering band across her bust exposing her lean and toned midriff and finishing with a high cut bottom piece". No wonder, Marisol is affectionately known as "Sol", the Spanish name for "sun". For the evening wear segment, Sol was the classic "Caribbean Goddess", all sequins, crystals and glittering stars, displayed on a floor length silver gown, designed by Letitia Butler Moses and made by Uzuri International of Jamaica. 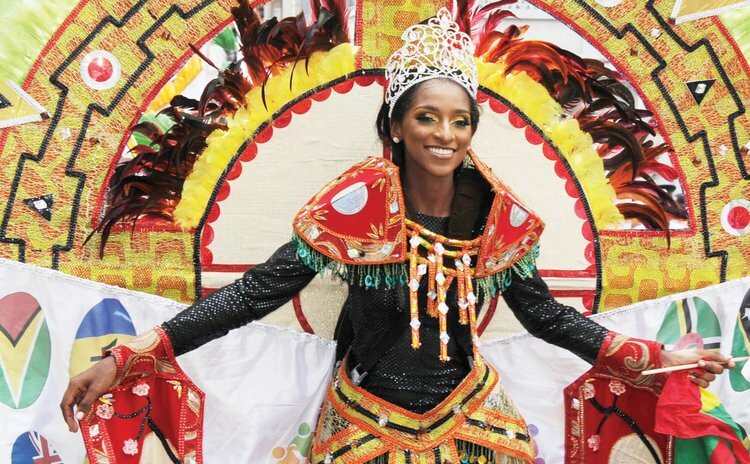 In her first media interview as Miss Dominica 2019, Sol said being crowned Carnival Queen 2019 was "an amazing feeling" and that was "a new beginning and a new phase in my life". Sol advised young ladies who want to compete in the Miss Dominica pageant must "be prepared because it takes a lot of discipline and self-determination." Winners of the other awards were: Chrisline Tavernier-Miss Photogenic, Best Swimwear and Best in Swimwear. Brittney Felix won the Miss Amity award. Chrisline Tavernier was adjudged First Runner-up and Aaliyah Martin was the second Runner-up. Anick Williams was the other contestant.